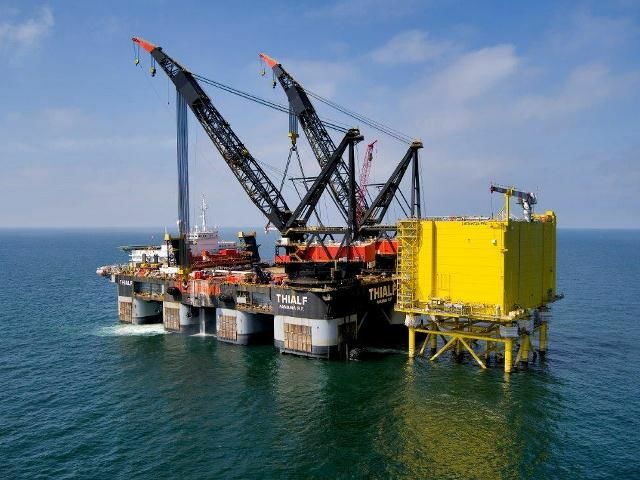 Largest offshore converter platform installed in the German North Sea. On 17 August TenneT’s largest offshore converter platform, DolWin alpha, was installed in the German North Sea. The topsides built by Heerema Fabrication Group (HFG) was lifted by the world's largest crane vessel Thialf of Heerema Marine Contractors and positioned on top of the already installed jacket. Ten days earlier the DolWin alpha topsides has set sail from Schiedam (near Rotterdam) to its final offshore destination 75 kilometers off the German Coast North of the island Borkum. The topsides is 62 meters long, 42 meters wide and 42 meters high and weighs more than 9,000 metric tons. Heerema Fabrication Group was awarded the Engineering, Procurement and Construction (EPC) contract by ABB in January 2011. Subsequently, fabrication of the topsides started at HFG’s Zwijndrecht fabrication yard and the 4,100 tons jacket at the Heerema Vlissingen yard. 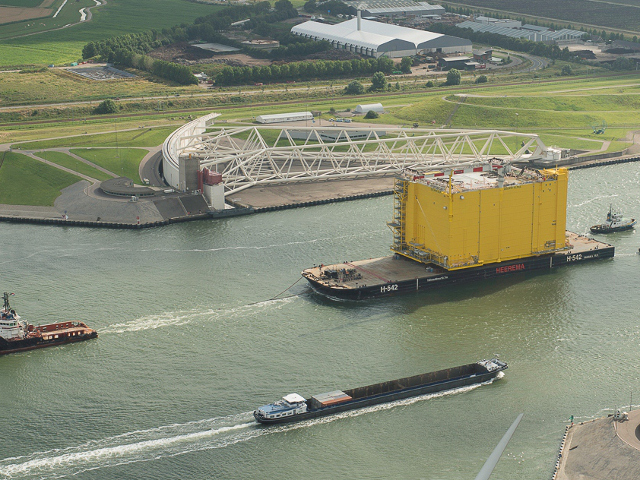 In the summer of 2012 the jacket was completed and installed by HMC’s Thialf in the German Bight. The DolWin alpha platform measures in total 62 meters in length, 42 meters in width and approximately 95 meters in height and will weigh more than 16,000 tons. “The successful installation of the offshore station is an important milestone in the construction of our HVDC offshore wind connection, which will ensure efficient transmission of renewable energy to the onshore grid in Germany”, said Hanspeter Faessler, Head of ABB’s Grid Systems business, a part of the company’s Power Systems division.